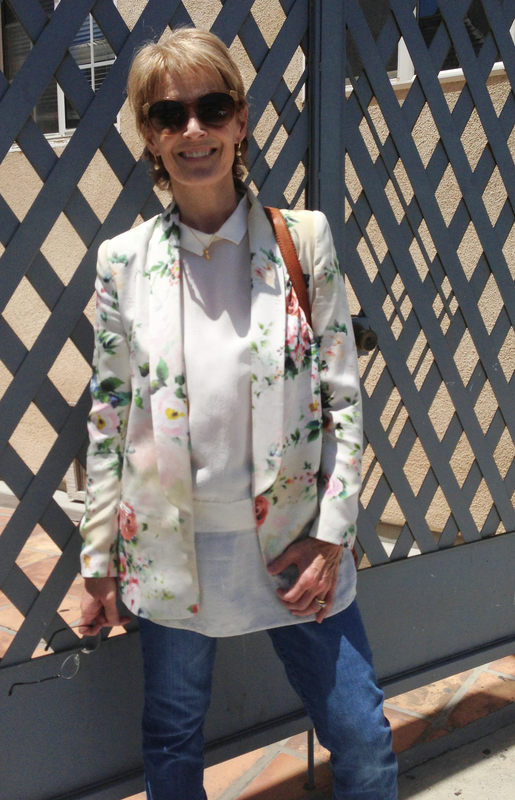 Hermosa Beach psychotherapist Valerie Johns was spotted wearing a perfect floral print blazer over her usual work clothes while walking in downtown Hermosa Beach early Monday morning. 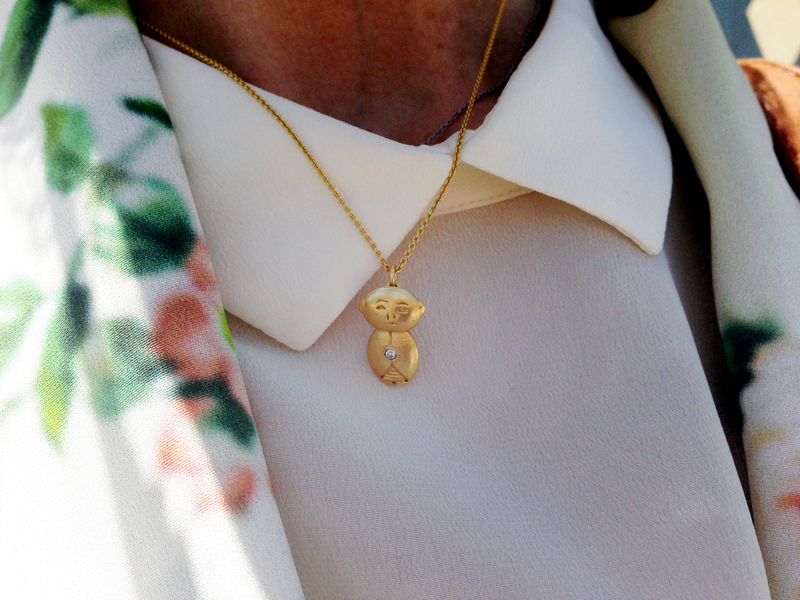 Jizo and Chibi jewelry ranges from $90 to $225. The New York-based Nordstrom brand “Truth & Pride,” blazer (similar here $298) is a stunning addition to an everyday jeans and white t-shirt combination. Her leather Lucky Brand (similar here $139) purse adds a pop of bohemian flair. Her high-quality white shirt is a favorite of hers and was purchased in Europe at her favorite store- COS. But for Valerie, the most important aspect of her attire is her personally-designed Jizo and Chibi pendent. Four years ago, she started Jizo & Chibi but the story began when she was a young girl living in Japan and eventually morphed into the jewelry pieces that were created not just as a fashion statement, but also as an icon to better ground herself and humanity to the earth. Local psychotherapist and jewelry designer combined both of her passions to create a very personal jewelry design. In her logo, the little symbol in the middle of Jizo’s chest is called Chibi, and stranslates to “little one” in Japanese. It was a symbol she would paint when she was first practicing psychotherapy and trying to find an outlet to process the traumatic experiences her patients shared with her. Chibi is another pendant Valerie designed, who is also featured in her children’s books. She discovered Jizo, the larger of the two, while on a trip to Japan later in life. In Japanese culture, Jizo is a bodhisattava, best known as the protector of women, children and travelers. Jizo’s name originally meant Earth Womb and was an important part of Valerie’s personal grounding process and eventually melded together with the little Chibi in a painting that she was urged to turn into a jewelry line. This mission of her jewelry is to help people around the world find a sense of peace and she believes that her jewelry lovingly protects the wearer. She also sells hand drawn storybooks that are teaching tools as well as Guided Meditations and Breathing Exercises that help with life’s challenges. Her jewelry runs from $90 to $225 and comes in silver and gold along with various precious stones. I love my Jizo pendants. They have brought me calm and quiet during a rocky few months, and I have appreciated Valerie’s kind online presence too.